Leading Home-based Franchise Opportunity. A Proven Business Model Based Around Providing the Customer the Most Convenient Shopping Experience and Unparalleled Satisfaction. 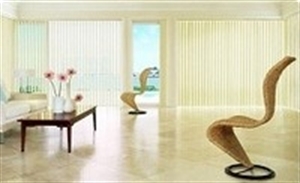 Impressive Buying Power With the Leading Window Covering and Home Decor Manufacturers. Thousands of Window Treatments, Including Exclusive Products That Won’t Be Found in Stores Business and Technical Training That Starts With the Basics and Allows You To Build Your Business on a Firm Foundation of Knowledge. Superb Ongoing Support and One-On-One Attention. A Strong National Branding and Marketing Program Designed To Raise Brand Awareness and Drive Leads. Local Marketing Materials and Planning Guidance. No Inventory; Protected, Exclusive Territories; Fixed Royalties; Fast Ramp Up. Royalty Holiday Program; If you don't make $750,000 in gross sales during your first three years in business as a franchisee,the franchise will refund your initial franchise fee via a 10-month royalty holiday. *USA only. The information contained in this ad does not constitute an offer to sell or award a franchise. Offerings are made by Franchise Disclosure Documents only and in compliance with applicable disclosure laws. Location and Facilities: Work from Home Office; No Inventory; Protected, Exclusive Territories; Fixed Leading Home-based Franchise Opportunity. Support/Training: Business and Technical Training That Starts With the Basics and Allows You To Build Your Business on a Firm Foundation of Knowledge. No Inventory; Protected, Exclusive Territories; Fixed Royalties; Fast Ramp Up Opportunity.